Your competitors are often the most useful resource if you’re trying to figure out a good Instagram ad strategy. After all, you’re after the same audience, so you should definitely check out what others are doing and see how you can make your ad campaign on Instagram even better. 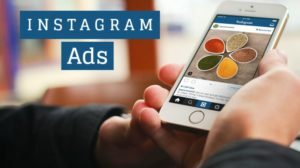 A lot of companies are using an Instagram feature that shows ads to people who have already visited the IG account or the website of the company running the ad, so just find the Instagram account of your competitor, check out a few posts, find a product like to the website and look at a few products on the website. This should be enough for you to see an ad pop up in your feed in the next few hours. 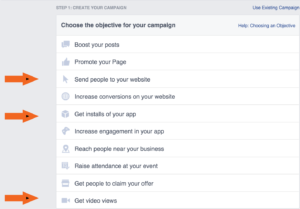 Your advertisement objective will depend on the goal of your campaign. Instagram have several objectives to choose from and your choice will influence how Instagram displays your sponsored ad. Reach and brand awareness should be used when your main goal is to make sure as many people as possible see your ad. 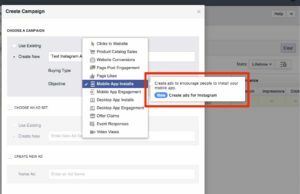 Traffic and conversions - this option is perfect if you want people to leave Instagram to go to your website or to buy one of your products. App installs and video views - the name of these objectives is pretty self-explanatory, these work best if your product is an app or if you have a Youtube channel that you’re promoting. 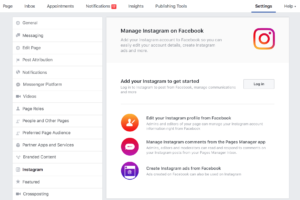 Engagement - if you want to get more likes, follows and comments on your IG account - this objective is just what you need for running ads on Instagram. Successful ad targeting is all about figuring out what your ideal audience is, who is most likely to do what you what them to do (follow your profile, buy your product, etc). Luckily, Instagram has tons of features to help you since Instagram runs on the same advertisement platform as Facebook does. You can choose your ad audience by geographic location, behavior, demographics and interests. Since you probably don’t want to waste money on showing your ads to people who are not interested in your brand and product, make sure that your target audience is as narrow as possible. Target audience and ad objectives are important, but at the end of the day, it is the content of your ad that gets you new customers. You cannot overestimate the importance of choosing a good photo and a great caption. Instagram allows you to choose from several types of content for your ads: a regular photo, a photo carousel, a slideshow and a video. The media content to use depends entirely on what you’re selling - gorgeous pictures of landscaped work well for travel bloggers, sample exercise videos are ideal for healthy lifestyle blogs and yummy food pictures are pretty much always a winner. An incredibly effective way to increase the success of your campaign is to offer a discount or a free sample of your product - this can bring your conversion rate close to 100%.